Expert 1 day classroom training – One price gives you total compliance! Big discounts off CPD training courses – Get up to 20% off! Which type of Mandatory Training do I need? Please ask your agency which type of Mandatory training you need. The Health and Safety Group will not be held responsible if you select the incorrect training course. To secure your place, you will need to book online. Start by selecting the venue and date on the right-hand side of this page and click the 'book now' button to be taken to the booking form. Please be aware, many of these courses fill up quickly! Who is Mandatory Training for? 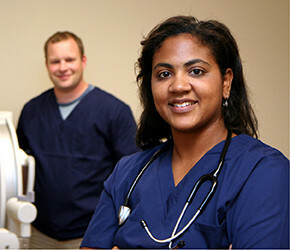 All healthcare professionals whether part time or full time or agency workers. Please note - Mandatory + Statutory Training is a yearly refresher training and is not suitable for candidates without prior healthcare experience. We deliver proven traditional classroom training providing healthcare professionals with relevant practical involvement and assessments. Independent verification of alignment can also be found on the following web page of the CPD Standards Office website:- The CPD Standards Office. The CPD Standards Office have audited and fully accredited The Health and Safety Groups' CSTF Mandatory + Statutory Training Course. The nursing regulator, the Nursing and Midwifery Council (NMC) is proposing that nurses and midwives renew their registration under a new system called 'revalidation'. This process is likely to start in April 2016. One of the requirements is for nurses to show evidence of 40 hours of CPD required over a three year period. The Health and Safety Group mandatory training course could contribute to your individual Continual Professional Development and any delegate attending HSG classroom Mandatory Training Course has our full permission to submit this training as evidence for CPD achievements for Nurses and Midwives revalidation requirements. To secure your place, you will need to book online. Select the venue and date on the right-hand side of this page and click the 'book now' button to be taken to the booking form. Please ask your employer which type of mandatory training you need. The Health and Safety Group will not be held responsible if you select the incorrect training course. All healthcare professionals whether part time, full time or agency workers. Mandatory + Statutory Training is a yearly refresher training and is not suitable for candidates who have no prior healthcare experience. Independent verification of alignment can also be found on the following web page of the CPD Standards Office website:- The CPD Standards Office . The CPD Standards Office have audited and fully accredited The Health and Safety Group Skills for Health aligned CSTF Mandatory and Statutory Training Course. The nursing regulator, the Nursing and Midwifery Council (NMC) introduced 'Revalidation' in April 2016. One of the requirements is for nurses to show evidence of 35 hours of Continual Professional Development (CPD) over a 3-year period. The Health and Safety Groups mandatory training courses contribute to your individual CPD and any delegate attending HSG classroom Mandatory Training Course can be submit their certificate as CPD evidence for their Revalidation.